Allianz Parque was built to provide Palmeiras with a new modern home. It was built at the same site where Palmeiras’ old Estádio Palestra Itália had stood. Palmeiras played their last match at the old stadium in July 2010, and, after demolition, works on the new stadium started late 2011. The stadium had initially been scheduled to be completed in late 2013, but several delays pushed this back with a year. 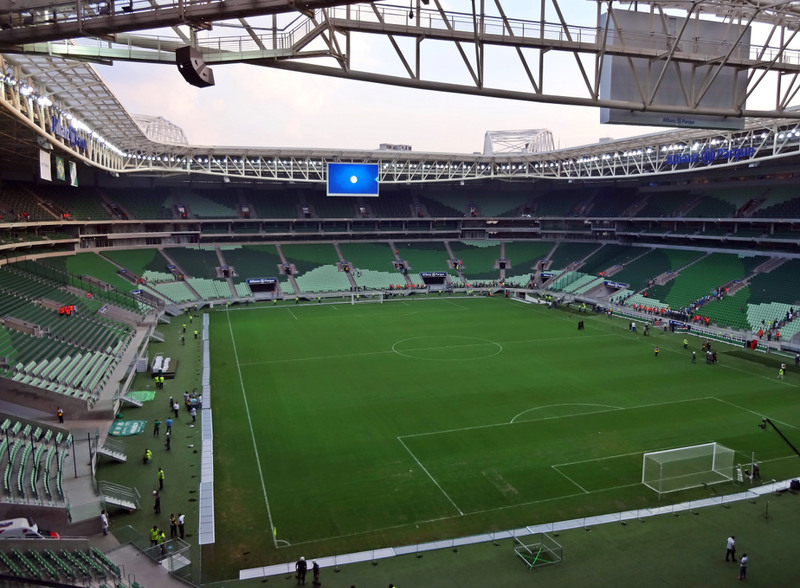 Allianz Parque opened on 19 November 2014 with the Serie A match between Palmeiras and Sport (0-2). This followed several test events with lower capacity. 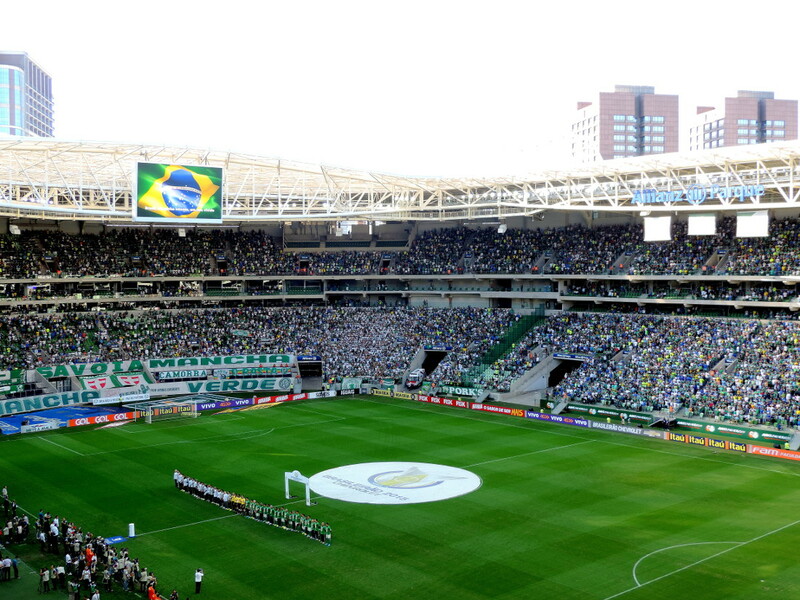 Allianz Parque has been designed to fulfil a multifunctional purpose and is operated by US entertainment group AEG. Soon after opening Paul McCartney played a number of concerts at the stadium. In 2013, Palmeiras had already announced a naming rights deal with insurance firm Allianz and then gave fans the choice to vote for their favourite name incorporating Allianz, resulting in Allianz Parque. Allianz Parque is located in central Sao Paulo at just over 4 kilometres north-east from downtown São Paulo and about 5 kilometres north from the Jardins area around the Avenida Paulista. The stadium is easily reached by public transport. Metro station Palmeiras Barra Funda, which is on the red line (L3), lies at only a 10-minute walk from the stadium. The red line can be caught at various stations in downtown São Paulo or through a transfer from other locations. An alternative is catching a commuter train to the adjacent Barra Funda train station, which is a quicker alternative if you are coming from, for example, Luz train station, though in most cases the metro will be more convenient. You can also get off at Agua Branca train station, which lies at similar distance on the other side of Allianz Parque. There are furthermore multiple buses that pass the stadium, which could be a quicker alternative if you are coming south from the Jardins area. Allianz Parque is located in a well-off area that is a mix of office buildings, residential houses, and commercial activities. There are plenty of local restaurants of various cuisines around as well as a few local bars. There are furthermore two large shopping centres right next to the stadium: West Plaza and Bourbon Shopping. Concert venue Espaco das Americas also lies only a few hundred metres away. There are a number of hotels right near Allianz Parque, of which the Plaza Inn and Holiday Inn Express are decent mid-level hotels with good reviews. The Transamerica Executive Perdizes is a somewhat pricier and more luxurious alternative. Click here for all hotels near Allianz Parque, though you can also opt to stay elsewhere in Sao Paulo. Most of the higher end options are in the areas west of downtown in the Jardins (Avenida Paulista), Vila Olimpia or Itaim Bibi areas. The city centre (Centro) is a little cheaper, but has less to do at night and can get a bit rough. Tickets for Palmeiras games can be bought online through Futebolcard, in person at the ticket windows of Allianz Parque, or at one of the other sales outlets, though none are in central locations. Tickets generally go on sale a few days before the match, and tickets can also be bought on the day before the start of the match at the stadium. 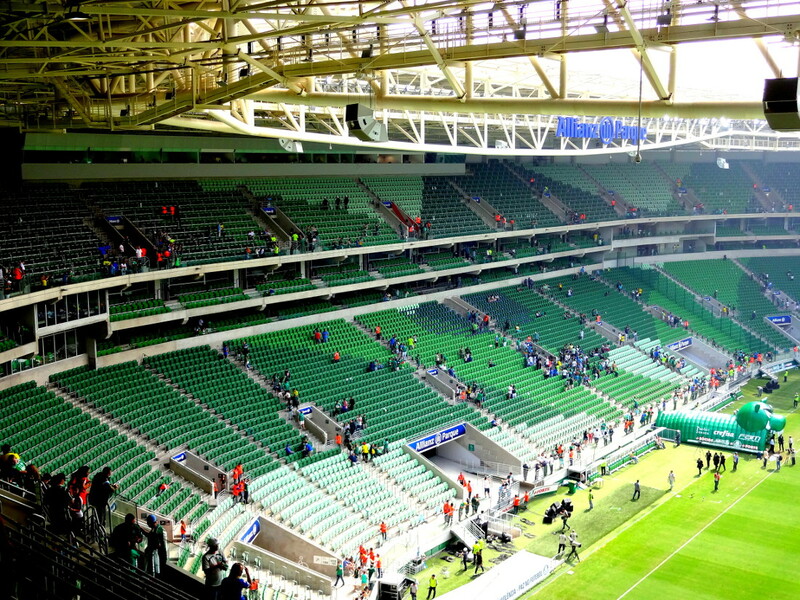 Palmeiras rarely sell out, though it is advised to buy in advance for the local derbies. Ticket prices depend on the opponent. 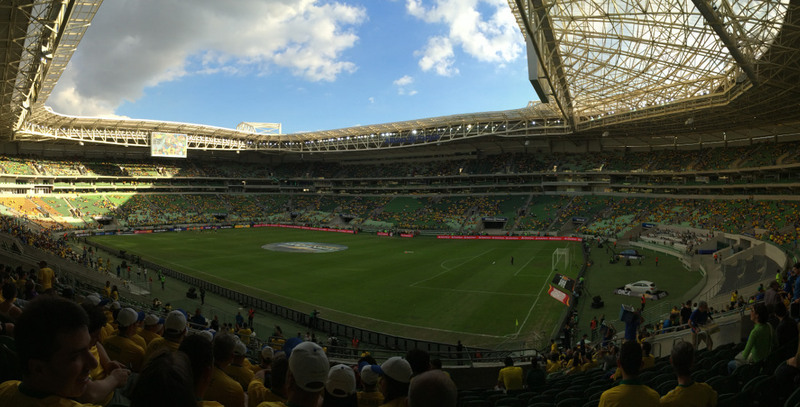 Expect to pay from R$ 100.00 for a seat behind the goal to R$ 250.00 for the best seats at the sides for a typical match. 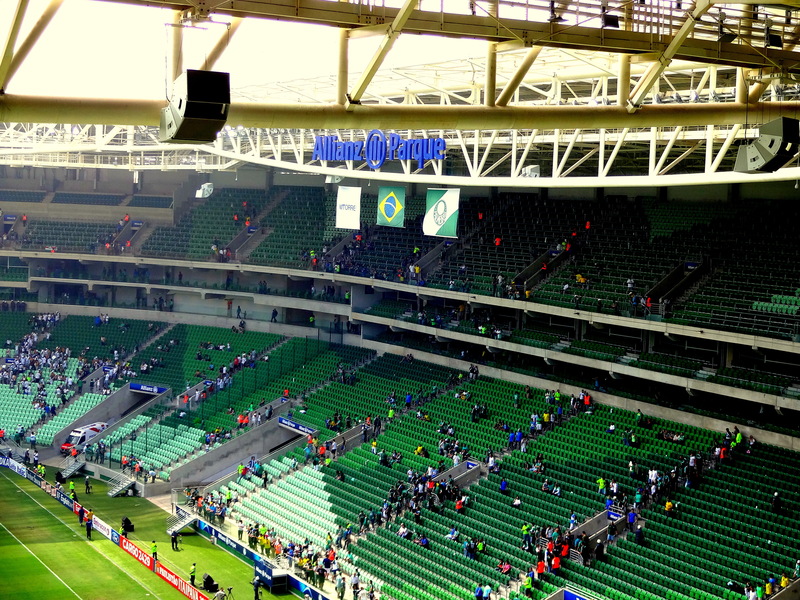 Allianz Parque offers guided stadium tours around Allianz Parque. Check the official website for current dates. Email tour@allianzparque.com.br for more information. Palmeiras.com.br – Official website of Palmeiras. Allianzparque.com.br – Official website of Allianz Parque.